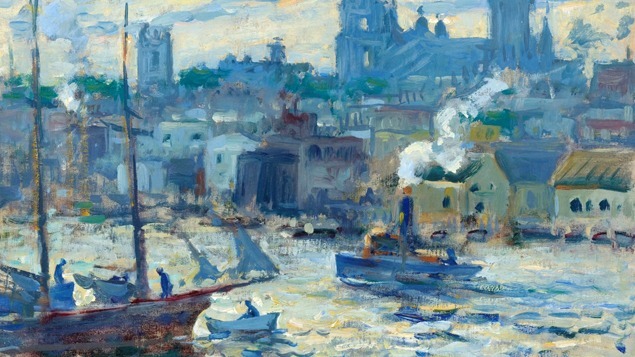 Around the turn of the twentieth century, it became fashionable for American Impressionist painters to gather in small, scenic towns, where they produced new work inspired by their surroundings. Known as artists’ colonies, these gathering places tended to arise in places that provided affordable living, abundant scenery for painting, and relatively easy access to large cities where artists could sell their works. This exhibition takes a close look at the way artists’ colonies across America—from Pennsylvania and Connecticut to New Mexico and California—brought together practitioners who shared a common aesthetic vision. Within each of these colonies, artists taught, collaborated, and escaped the daily rigors of their city studios, producing lyrical landscapes, portraits, and still-life compositions that became icons of the American Impressionist style. This exhibition is organized by the Reading Public Museum, Reading, Pennsylvania. Carole Kilgore Anderson, Atlantis Casino Resort Spa, and Scientific Games.